Tamarack Wedding Photographer Todd Nichols Photography captured this wedding picture right after the first look. The bride and groom were just heading back to the chapel to take wedding party pictures and we caught this candid picture of them. Tamarack Resort is a four season resort located near McCall in central Idaho. The ski mountain summit tops out at 7,700 feet and there are over 1020 acres of skiable terrain. In the winter there are hot springs close by and in the summer there are zip line tours as well as Lake Cascade activities, white water rafting and hiking close to the resort. 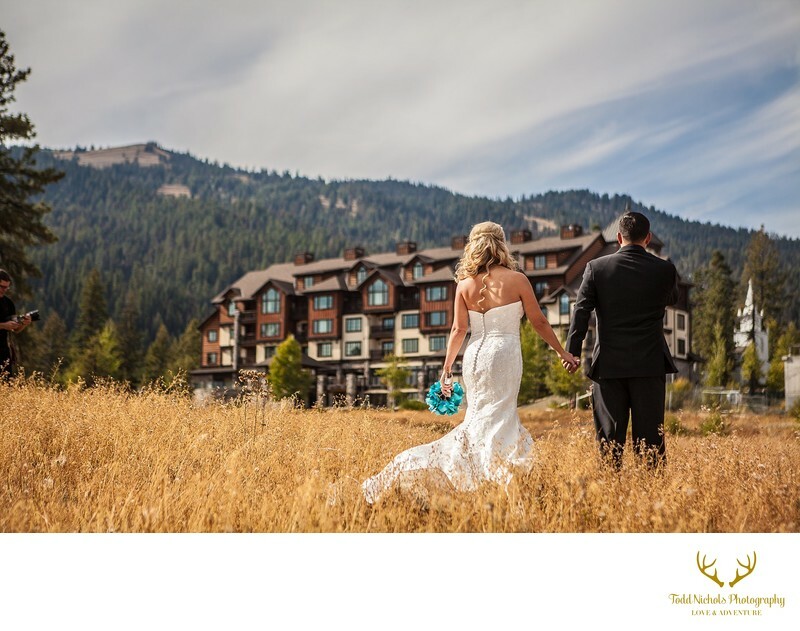 You can be sure that whatever season you decide to get married at Tamarack resort will be the right season because of the amazing accommodations and activities available. We love photographing at Tamarack resort because of the many fabulous wedding picture opportunities! 1/1600; f/2.8; ISO 100; 70.0 mm.